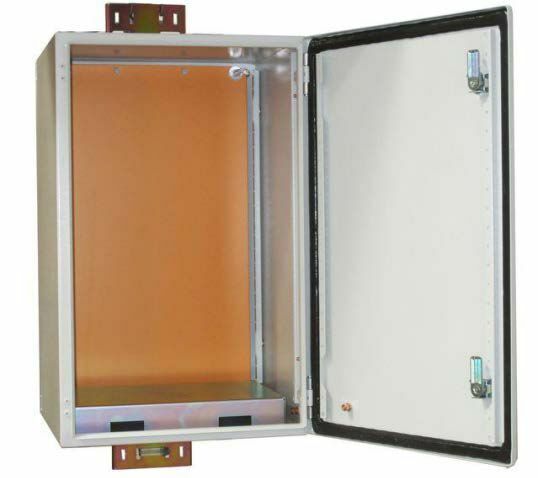 Do you have questions about our Solarland battery/rack boxes, or questions about solar in general? Give us a call at 1-800-472-1142. 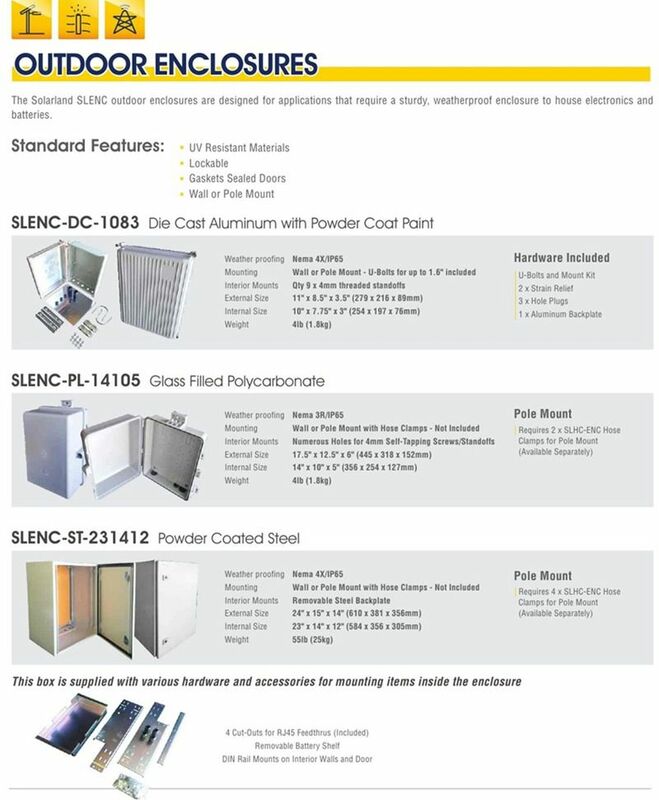 Pole mounting kit for Solarland SLENC-PL-14105 and SLENC-ST-231412 enclosures. 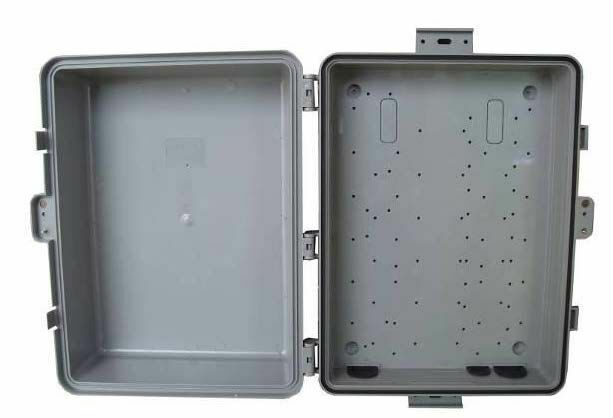 This kit includes the hose clamps to pole-mount Solarland enclosures for remote power systems requiring an extra enclosure for an inverter and other equipment.